If you have purchased components from our website more than once, you already qualify for our 2rd column pricing. If you become one of our many steady customers, we will qualify you for 3rd column pricing. 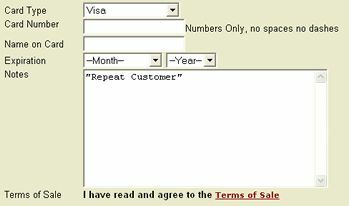 After finishing your purchases and you are checking out of the shopping cart, you must write in the "notes" section box that you are a "Repeat Customer" (which we will verify). We will then adjust your final billing to reflect the quantity discount column that you are eligible for. As always, we will continue to bring you the HIGHEST quality components at the LOWEST competitive prices. If you would like more details about our Customer Rewards Program, you are a custom clubmaker, or would like to start, develop, or expand your own golf business, please call or email us.